Why include MOVEMENT in every lesson! Movement and Learning Our bodies are built to move, yet often our teaching strategies still insist on children sitting for long periods of time during the school day. Many schools are reducing the number of PE lessons per week, shortening breaks or reducing physical activities within school as they are not seen as 'core business'. Recent neurological studies show the importance and relationship between movement and learning. The cerebellum is part of the brain that is most associated with balance, posture and movement. It is only 10percent of the brain size, but contains about half of the brains' neurons. 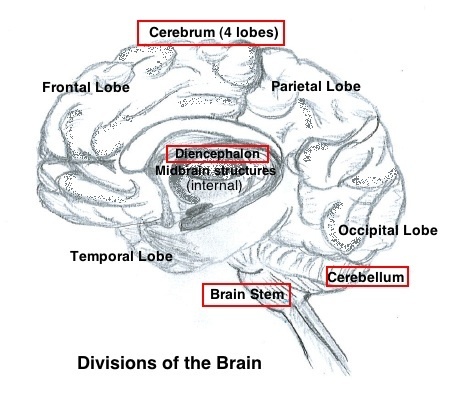 The cerebellum processes most of our learning. The basal ganglia(a group of parts in the brain) controls the initiation of movements, posture, balance and even eye movement. These components are linked to the other motor areas in the brain, such as linking the thalamus with the motor cortex. 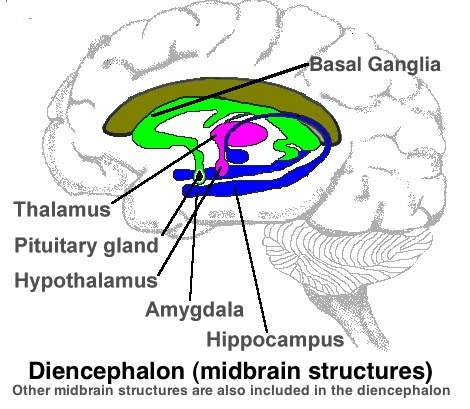 The basal ganglia are also involved in cognitive and emotional behaviours. They play an important role in reward and reinforcement (reward systems), movement regulation, skill learning and habit formation. The thalamus receives the input from our senses and directs it to the appropriate part of the cerebral cortex. The frontal lobes are part of the cerebral cortex, they are the part of the brain does the 'higher' cognitive functions. They contain substructures such as the prefrontal cortex, orbitofrontal cortex, motor cortex, premotor cortex, and broca's area. These substructures are involved in attention, thought, voluntary movement, decision-making and language (Healey, 2004). The motor cortex is involved in planning, control and execution of voluntary movements. Lyelle Palmer, 2003, showed in a 20 year study that early motor stimulation leads to better learning and academic success; including enhanced attention, listening skills, reading scores and writing skills. Our motor sensory systems, especially auditory, visual and motor systems are developed through exploration in the first two years of life. Our vestibular system (system in inner ear that controls our sense of balance and movement) strongly influences the other sensory systems. (Healey, 2004). Sensorimotor integration is fundamental to school readiness. These activities should include spinning, crawling, rolling, tumbling, rocking, matching, pointing and fine-motor activities. These types of activities could be included in many lessons, such as drama, dance and physical education. Adequate movement or exercise encourages new cell production in the brain, as well as prolonging the survival of existing brain cells. Movement also triggers release of neurotrophins. Neurotrophins enhance growth, impact mood, cement memory and enhance connections between neurons. Movement enhances learning and memory. Teachers who used movement, in various forms, such as drama, games and PE saw an improvement in learners remembering and learning new information. Eric Jensen suggests that physical education, as it's aerobic exercise, at school builds brain cells, that there is no other data to show that any other subject shows that! Don't be afraid of introducing movement activities into your lessons, plan and prepare your lessons carefully to include different forms of movement to suit the subject being taught. Allow learners to move around or stretch during a lesson if they feel they are lacking concentration or feeling lethargic, without distracting others from their work. Stretching and marching type movements could help learners refocus on their work. These activities you could also get the class to do as whole, as part of the lesson, perhaps after an introduction before the written work is begun. Cross-lateral exercises, such as knee-lifts with opposite hands and knees touching while marching motion or cross-crawl where the midline is crossed, stimulates both sides of the brain and stimulates thinking processes. Movement can be included in all subjects throughout the school day, for both primary and high school learners. Hop-scotch - draw a hop-scotch pattern on the floor either in the classroom or on the corridor outside the classroom. This pattern can be used for different subjects. Hop-scotch for mathematics, maths problems, times or division tables or something similar could be put into the various blocks, which need to be verbally answered before a child progresses. After completing hopscotch. The child removes the calculation cards and places different ones on for the next child. Children could do this in groups of 3 or 4 children. Hop-scotch for languages, words could be placed on the hopscotch shapes, and the children would have to read the words as they hop on them. The words can be swapped around or new words replaced for the next children to read. Or as they step on word the child: read it, sound it., say. Classroom stepping stones, use in a similar manner to hop-scotch, create a set of stepping stones between the desks or in the reading corner of the classroom. Questions, could be placed next to the stepping stones for children to answer as they hop along the stones. A ball could be used instead of bean-bag, this activity could also be done outside of the classroom, in a quad or on a field. Instead of a whole class, the children could be divided into many small groups f 5 or 6 children, each playing the same game, which means the children would each be given more opportunities to be active participants. Sign language is wonderful to teach the children, these small movements could be used as a method of communicating in your lessons. Maths dominoes, make dominos cards with timetables and answers. Phonics dominoes, a sound and a word on the two halves of each domino. Scavenger hunt around the school, perhaps to find information about the school's history or information the teacher has hidden about a topic. Do actual hands-on experiments, working with equipment. Have gym balls as an option for children to sit on instead of chairs in the class. Unusual entrance - "Spider-web door", put a rope spider web in a wooden frame that fits the classroom door, children to climb through on entering the room. Activity area, children can play the games when they have finished the given tasks. 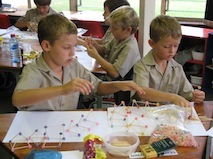 Collaborative learning activities where children work together. Elastic jumping, working in teams or small groups. Stocking and ball (play tennis ball in toe of stocking). Child stands against a wall, and does a series of movements swinging the stocking ballin a series of sequenced movements. Get the children moving as part of everyday teaching, and see the improved results. Movement improves our ability to learn and remember. Eric Jensen suggests that exercise is one of the best things you can do for your brain.